Calhoun County will open up the season at No. 1 after finishing 30-2 with a thrilling 84-82 state championship victory over Greenville. A five-man senior class with plenty of leadership has graduated, leaving sophomore Rashun Williams and senior Jerrek Solite as the two focal points of the offense. Senior center Jalin Gray also has experience and brings some bulk inside for the Cougars. Both Williams and Gray scored 8 points in the title game while Solite chipped in 7. Williams also added 6 rebounds to his ledger. Solite grabbed 9 rebounds and dished 4 assists. No. 2 Hancock Central went 25-3 and lost to Greenville in the semifinals 75-69. Senior guard Alex Brooks is a big time scorer and a blur on offense. He and Markellus Lamar make up for a quick backcourt that looks to push the tempo and get easy baskets. No. 3 Treutlen lost only three seniors from last year’s 27-2 unit that fell in the Final Four to Calhoun County 87-67. Gone is Terrance Warren and his 15.4 points and 7 rebounds per game, but back are seniors Titus Benjamin and Elijah Johnson. Johnson is a talented guard and Benjamin is a 6-foot-3 forward that can take his man inside and out. No. 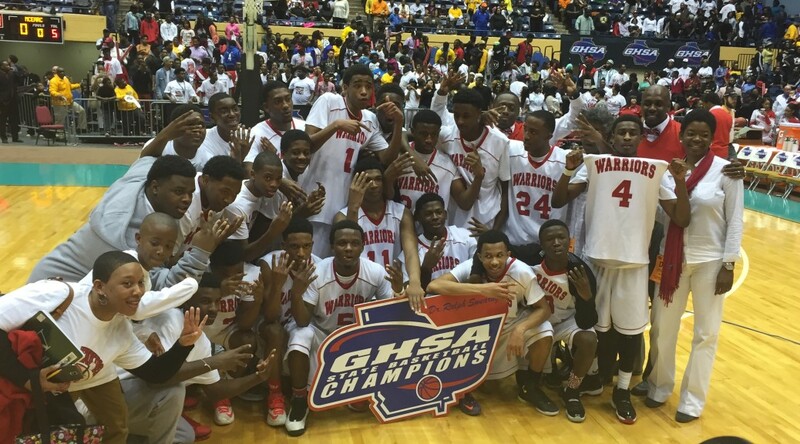 4 Wilkinson County lost to Hancock Central in round two, 72-71 in double overtime, ending the Warriors’ season at 25-5. Senior guard Ontario Coats, sophomore forward Clarence Jackson, junior guard Larry Jones and junior center Greg Cousin should be a strong nucleus to build around after losing six seniors including All-Middle Georgia Honorable Mention selection Torrico Simmons. It will be interesting to see how Tasha Kimble does at No. 5 Turner County. Kimble will now be in charge of coaching both the boys and girls teams. Good news for Kimble, talent is aplenty at Turner County. She led the girls team to a 28-3 season and a state runner-up trophy and will take over a Rebels team that went 25-4 last year and lost to Treutlen in round two, 88-81 in overtime. Kimble’s offense will revolve around the exciting Tamorrion Terry. Terry, a junior, is a two-sport star at Turner County and is pegged as a three-star wide receiver. On the hardwood, at 6-foot-3, he is a beast. Terry averaged 17.1 points and 11.5 rebounds for the Rebels. In their final game of the season, Terry saved his best for last and recorded 33 points and 22 rebounds. No. 6 Randolph-Clay finished 21-6, but saw their season end too soon, getting beat by Dooly County 62-56 in round one of the state playoffs. The Red Devils’ top two leading scorers and rebounders have graduated and Coach Kalvin Baker will now turn to senior Cody Brown to carry the load. Brown averaged 9.8 points and 5.5 rebounds as a 6-foot-2, 225-pound power forward. Nigel Gibson is another senior forward who should be a key contributor. 28-3 No. 7 Greenville suffered a heartbreaking defeat to Calhoun County, 84-82 in the state championship. Coach Walter Jackson loses his top five scorers from a year ago. Senior Josh Walls will have the green light to score after averaging 7.6 points per game. Renault Griffin adds some length and is a good rebounder and shot blocker, blocking 1.5 per game in 2014-15. Griffin showed his upside in the fourth quarter of the state championship, scoring all 9 of his points in the frame including a handful of thunderous dunks. The Bobcats of No. 8 Dooly County lost to Calhoun County in round two, 72-52. Power forward Antonneous Clayton is a hard worker inside and averaged 6.5 points and a team-high 9.6 rebounds. Fellow senior Adrian Kenny added 6.9 points and 4.9 rebounds and is a nice versatile piece for Coach Towandi King. No. 9 Portal was upended in round two by Greenville, 87-73. A lot has graduated and the transfer of senior Tyler Budgett hurts. Senior forward Marvin Prescott will be thrust into more of a go-to role after posting 8.2 points, 4.9 rebounds and 1.1 blocks per game in 2014-15. John Davis’ No. 10 Terrell County finished 16-12 after a blowout loss to Hancock Central in the opening round of state. Detravion Bishop is the Greenwave’s leading scorer and will once again be a major playmaker as a junior. It looks like it will once again be a two-horse race in Class A-Private and with that said, I give No. 1 Greenforest the slight nod over defending repeat state champion St. Francis. The past three titles have been held between Greenforest and St. Francis with the Eagles last knocking off the Knights, 55-41 in 2013. Last season it was Greenforest (27-2) coming up short with a 96-81 loss to the high-powered Knights. Good news for Greenforest is that St. Francis has lost two-thirds of its vaunted three headed monster and the Eagles return everyone except Justin Ravenel and Faisal Abdulmalik. Five-star junior center Ikey Obiagu anchors the paint at 7-foot. The big bodies don’t stop there for first year head coach Larry Thompson. Senior 6-foot-8 forward Precious Ayah has pledged to play at Miami (OH) while 6-foot-9 juniors Victor Enoh and Abayomi Iyiola are uncommitted along with 6-foot-8 sophomore Mohammad Abdulsalam. With all that great size, it will still be guards John Ogwuche and Justin Forrest who will make the offense click. Ogwuche, a senior, has committed to play at New Hampshire. Forrest is a junior and is quickly rising up the recruiting boards. Forrest poured in 19 points as a sophomore in the state championship a year ago while Ogwuche led all scorers with 28. No. 2 St. Francis attempts to capture a three-peat behind five-star guard Kobi Jordan-Simmons. Simmons poured in 27 points in the state championship and was the youngest out of the big three which featured Malik Beasley (FSU) and Xavier Gates (Xavier). The Knights finished 29-3 and captured the crown in Drew Catlett’s first season as head coach. Catlett has a ton to replace for year two, but Simmons brings back his 21.2 points per game as the centerpiece. Duluth transfer Anthony Showell is a senior guard that poured in 16.6 points per game as a Wildcat and will be a strong running mate alongside Simmons. Senior forward Chance Anderson is expected to see a major up-tick in production and guards Will Richter and Wallace Tucker bring great depth. No. 3 North Cobb Christian is coming off a 19-10 season and a second round exit thanks to Whitefield Academy, 62-58. Head Coach Greg Matta won’t have center Trey Kalina (UTC) inside this season, but the experienced coach always finds ways to win. Double-digit scorers Will Crumly, Nicholas Flemming and Jalen Dampier all return to power the Eagle offense. Newcomer Demiere Brown has transferred in and gives Matta versatility at the two and three spot. As a sophomore at Hiram, Brown averaged 16.1 points, 7.3 rebounds and 2.8 steals per game. North Cobb Christian will enter 2015-16 as the odds on favorite to win the A-side of Region 6, with terrors St. Francis and Whitefield Academy looming on side B. No. 4 Whitefield Academy would have made a strong case for being the best team in Class A-Private if it wasn’t for St. Francis. The Knights, like they did everybody else in the classification, had the Wolfpack’s number, beating Whitefield all four times and ending their season in the semifinals, 63-40. Whitefield finished 22-10 in 2014-15 and senior Brendon Myles will try to power the Pack over the hump and make some noise this year. Myles averaged 12.5 points and 8.9 rebounds as a 6-foot-3 guard last season. Junior Isaiah Hart doesn’t have Myles’ size (5’9”) and instead plays the role of distributor, dishing out 4.1 assists per game to go along with his 11.4 points. Sophomore Myles Belyeu has a chance to see major minutes in the backcourt while Jimmy McCarthy is relied upon to rebound and find east buckets inside. The Warriors of No. 5 Southwest Atlanta Christian boast one of the nation’s most coveted scorers. DeAndre Ballard, a four-star 6-foot-6 wing, was unstoppable at times last year, scoring 23.3 points per night while grabbing 5.8 rebounds. 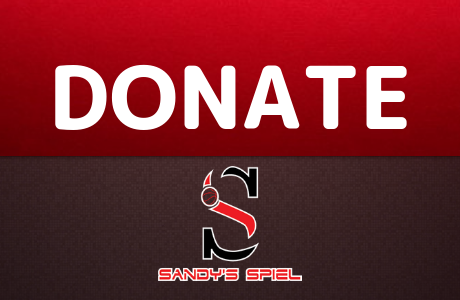 He will need some help if SWAC wants to improve on their 17-11 finish. The Warriors’ season came to a rude and abrupt end in the round one of the state tournament, losing to Greenforest 103-31. SWAC should have more balance in 2015-16 with Malik Baisden returning to flank Ballard. A strong junior class is also expected to make waves with Ballard at the head. Johnathan King and Isiah Cotton are two names to keep an ear out for as they will be crucial in helping the Warriors regain their status as one of the elite programs in A-Private. One of the funnest teams to watch in the state a year ago was the fast-paced offense of Chip McAllister at No. 6 Landmark Christian. The War Eagles ran up 76.3 points per game on their way to a 21-9 season and a trip to the Elite Eight. Athens Christian crashed Landmark’s party with a 73-46 win. Leading scorer Zack Allen is set to return after averaging 18.6 points and 6 rebounds. The War Eagles took a whopping 1,053 three-pointers (35.1 per game), meaning everybody has the green light in McAllister’s offense. Allen was the team’s most efficient shooter, drilling 77 attempts and connecting at a 40% clip. Junior Collier Schultz is expected to take on a bigger role this year as are seniors Stockton McGuire, Eddie Windsor and Nathan Burdette. Looking for a bit of a sleeper? Search no further than No. 7 St. Anne-Pacelli. The Vikings did go 17-9 and made it to the playoffs where they fell to Landmark Christian 83-75, but that might have just been the beginning. If there was no major shakeup that I missed this offseason, the Vikes will be returning their top five leading scorers making them an experienced team that could be dangerous come playoff time. Senior guards Tre Sudberry (19.7 ppg), Triston Wells (14.5 ppg), Armon Prophet (12.5 ppg) and Deandre Bowman (10.7 ppg) are all capable scorers. Sudberry also chips in 5.1 rebounds, 3.2 assists and 3.4 steals while Prophet leads the Vikings with 5.9 assists. Junior Trevor Rice is another valuable piece after adding 5.3 points per game. Coach Alan Griffin’s team is a very unselfish group that has become one of the state’s most efficient offenses, shooting 67% from inside the arc as a team last season. Two powerful guards propel No. 8 Stratford Academy. Senior Quintez Cephus is set to play at Furman but also has a solid offer from Wisconsin in football. Cephus is the school’s all-time leading scorer (1,960) and will eclipse the 2,000-point barrier early in the season. He also is the school record holder in assists and steals. As a junior, Cephus poured in 22.7 points, 8.9 rebounds and 4.3 assists per game to help Coach Jamie Dickey’s Eagles go 18-7 and make it to the second round of state before being banished by Greenforest, 66-23. O’Showen Williams is the perfect complement to Cephus. Williams also plays football and on the basketball court he can score from deep but also find the open man. In 2013-14 Williams scored over 17 points per game at First Presbyterian Day before transferring over to Stratford at Christmas and helping lead the Eagles to a GISA AAA state title. For No. 9 Lakeview Academy, Coach Todd Cottrell returns a strong core that should compete for a Region 8 top seed. Tae Turner averaged 14 points, 3.0 rebounds and 4.0 assists as a junior and was selected to the All-Area Second Team. He and Honorable Mention selections Tre Gober and Josh Randolph can push the pace and get easy buckets in transition. Both Randolph and Gober played big roles in the Lions success as sophomores and return even more seasoned. Lakeview should be an odds on favorite to reach the state playoffs for a second straight season after finishing 17-11 in 2014-15, ending their season with a 103-59 loss to St. Francis in round one. No. 10 Tattnall Square finished 20-9 with a first round exit after losing to Aquinas, 55-39. Only two seniors have graduated from last year’s team, but Will Trevitt was a strong interior presence. Junior Calvin Slaughter will once again be asked to lead the charge for the Trojans. Slaughter was among the team leaders in scoring in 2014-15. Fellow junior Sean Brown saw quality playing time and should have a strong rapport with Slaughter in the backcourt. 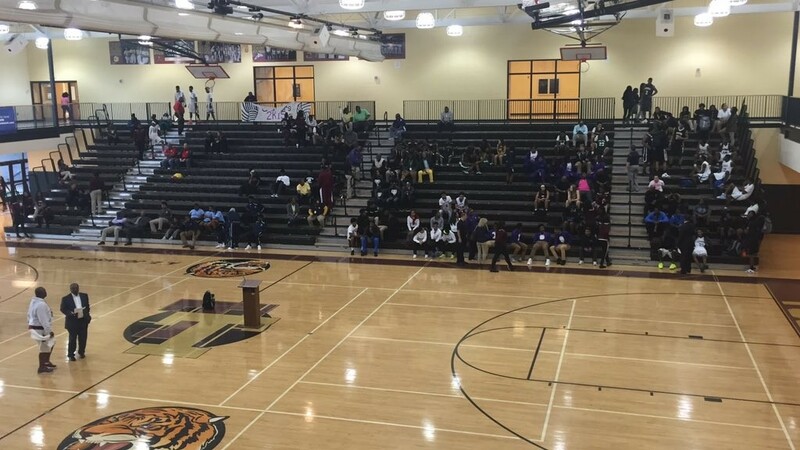 Tucker High School was host to DeKalb County Media Day on Oct. 22 for the upcoming GHSA basketball season which officially kicks off in roughly three weeks. Twenty-two programs packed into William S. Venable Gymnasium with optimism aplenty and sights set towards building upon the 2014-15 season. DeKalb County has become notorious for its annual basketball powers on both the boys and girls side. Combined, 42 state titles have been claimed by the county. 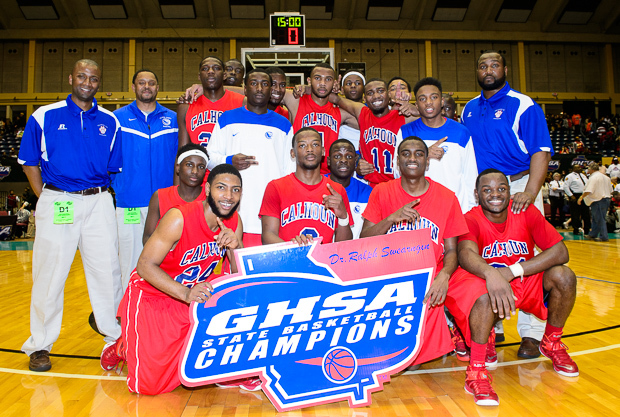 It has been 12 years (2003) since a DeKalb County school has not won a state championship in basketball. Focusing on the boys side, I targeted three teams which I feel could add onto that streak of success. I was able to catch up with Miller Grove’s Sharman White, who enters my Preseason Class AAAAA poll ranked No. 1, Lithonia’s Wallace Corker, my No. 1 in AAAA and Aaron Parr of St. Pius, my No. 6 ranked team in AAAA to see how they feel about the 2015-16 season. The Wolverines re-loaded this offseason and added even more talent to a great backcourt. UConn-commit Alterique Gilbert welcomes in ETSU-commit Aaron Augustin (Peachtree Ridge), Tae Hardy (Southwest DeKalb) and Colin Young (Laney) to form an exciting guard rotation. But with so much talent, is it difficult to manage playing time? Coach White doesn’t think so. As great as Miller Grove’s guard play projects to be, long forwards Raylon Richardson and Aidan Saunders are the night in and night out grinders who can do the dirty work defensively and score when called upon. Richardson was a double-double guy last year and White expects the same this season. Coach Wallace Corker’s team saw a vast improvement last season, leaping from a 12-13 record to a powerhouse 27-3 season. A great senior class has me feeling like it could be championship or bust this season for the Bulldogs. The senior class of Rodney Chatman, Tyleen Patterson, Tyheem Freeman, Derious Wimberly and new addition Jacara Cross from Cedar Grove, will ultimately be the group that decides how far the Bulldogs go. Corker noted that Chatman has had a great summer and has seen his recruitment pick up. The 6-foot-2 guard is also one of the biggest leaders on the team. The Bulldogs will look to push the tempo with their guard play but also dump it inside to Cross whenever they get the chance. The 6-foot-7 Cross gives Lithonia a true weapon that can score inside and out. 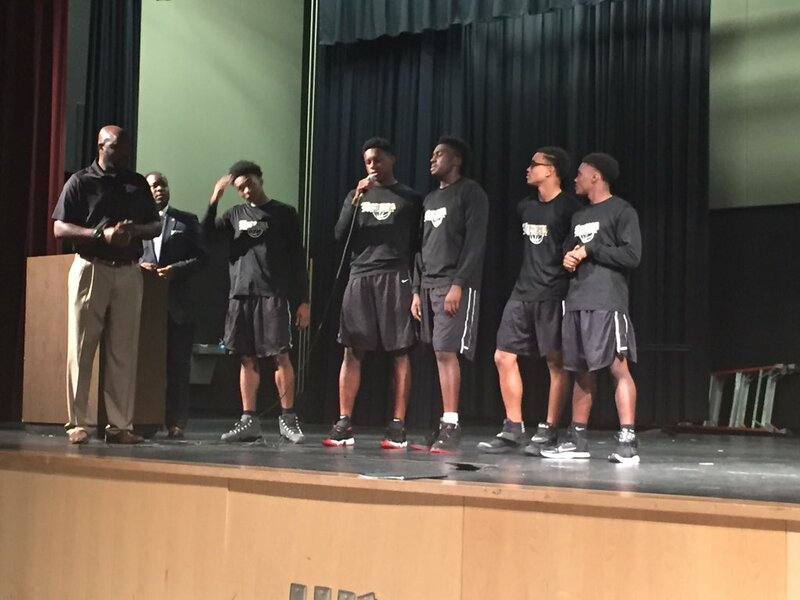 Lithonia will have no easy games on the schedule playing in the extremely difficult Region 6-AAAA. “Oh my God it’s amazing,” exclaimed Corker before listing off a slew of competitive teams. After a great season and expectations sky high for 2015-16, I questioned Corker on how he will be able to keep his team focused with a new target on their back. A second round exit to Cairo has left a bad taste in the Bulldogs’ mouth, but Coach Corker understands that it can be used as a learning tool and can help Lithonia this season. 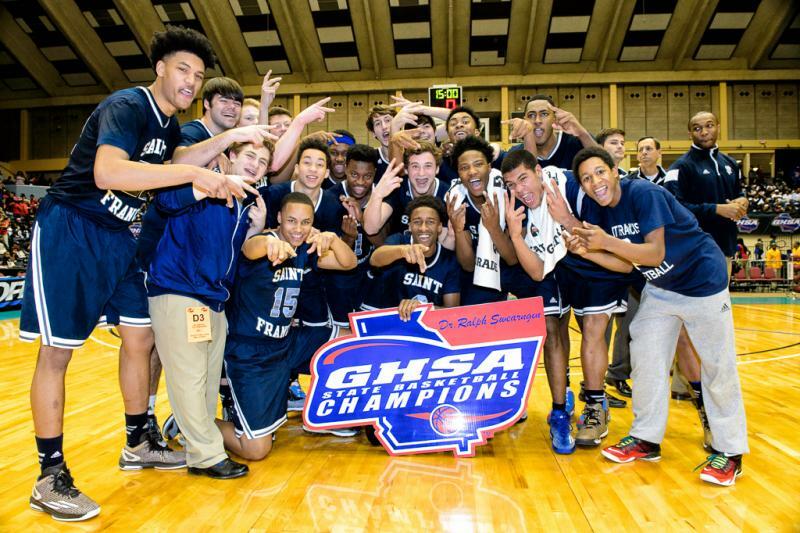 One of Lithonia’s biggest competitors for the Region 6 crown will be the Golden Lions of St. Pius. Coach Aaron Parr’s team battled tooth and nail with the Bulldogs to garner a regular season split before falling 51-49 in the region championship. After a 25-5 season, expectations are rightfully high for St. Pius. To win the region and make a deep run at state, Parr believes in taking things day-by-day. 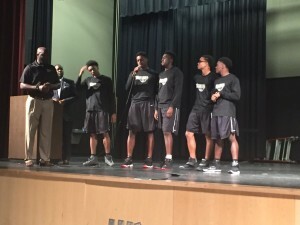 Much like Coach Corker of Lithonia, the Golden Lions are focused on doing as well as possible in region as their region alone is a strong litmus test for how strong the team is heading into state. “It’s an incredible region,” noted Parr. Seniors Kerney Lane and Christian Merrill will be the centerpieces to Parr’s offense but a nice blend of youth is also expected to see playing time. Merrill has started since he was a sophomore and Parr describes him as the “heart and soul” of the team with his character and leadership. Coach Parr believes after an excellent offseason that 6-foot-7 senior Jakob Spitzer can take the next step into becoming a consistent low post threat. Staying mentally locked in and focused will be the key for St. Pius. By eliminating wasted possessions, Parr thinks that the close games they lost last year can transform into victories in 2015-16. They might not be the most highly publicized team, but they still are the defending champs and return everyone except one senior who did not see much playing time. No. 1 Seminole County has emerged as a force and will look to repeat behind a stellar senior class led by Georgia-commit Jordan Harris, who put on the best performance in Macon last year. The 28-3 Seminoles (all three losses to 4A Bainbridge) received a scintillating 41-point, 11-rebound, 4-assist, 6-steal effort from the four-star swingman in the 76-71 state championship victory over Crawford County. The southpaw flew above the rim for every rebound and effortlessly launched long threes, connecting on 4-of-7. During the season Harris poured in 27.4 points, 11 rebounds, 7.2 assists, 3.6 steals and 1.9 blocks per game. Seminole County isn’t a one man show however. Seniors Anfernee King and Jahmyka Pearson are both dangerous scorers that compliment Harris perfectly. King, a guard, averaged 18.3 points, 7 rebounds, 4.5 assists and 5.6 steals while Pearson, a forward, pitched in 15.5 points, 9.5 rebounds, 2.4 assists 1.1 steals and 1 block a night. Point guard Alex Fudge and forward Dwayne Samson round out the Indians’ starting five under Coach Kevin Godwin. No. 2 Pace Academy has the best quality size in the classification and will look to use it to their advantage. The Knights rolled last season to a 27-3 record and held the No. 1 spot in the polls throughout the year, but in the quarterfinals, a scrappy Vidalia team stunned the powerful Knights, 48-46. Head Coach Demetrius Smith was unable to exploit their massive size advantage against the Indians on the road and lost a tough one after having to travel nearly three hours. Unanimous No. 1 ranked player in the class of 2017 Wendell Carter Jr. returns after easily averaging a double-double and producing 20-15 nights regularly. The 6-foot-10 center has a skill set similar to Jahlil Okafor as he can face up and hit the mid-range jumper, score with his back to the basket, get to the hole with the dribble and also pass and defend at a high-rate. Pairing up with Carter this season will be sophomore Isaiah Kelly. The long 6-foot-8 forward averaged 16.2 points and 10.5 rebounds as a freshman at Augusta Christian. Rounding out a strong frontcourt is senior 6-foot-6 forward Zack Kaminsky. On the perimeter, sophomore Caleb Holifield is asked to replace his brother Elijah as the Knights’ top outside threat. Much like Seminole County, last season’s state runner-up No. 3 Crawford County is in a great position to make another deep run under the guidance of Head Coach Clyde Zachery, who enters his 36th year at the helm. The Eagles return EVERYONE from their 27-4 team a year ago. Senior swingman William Jarrell has blossomed into a star, averaging 25.8 points, 13.9 rebounds, 6.3 assists, 3.5 steals and 3.9 blocks in Crawford County’s high-flying offense. In their state championship loss, Jarrell heated up for 31 points and 6 rebounds. Junior Marcal Knolton stands 6-foot-5 and plays center. As a sophomore he pitched in 17 points, 12.1 rebounds and 3.8 blocks per game. Sparkplug point guard Monkeize Moore added 9.9 points, 4 assists and 2.8 steals, while seniors Jeremy Raines and Quay Wiggins along with junior Damien Saffold all chipped in over 6 points a night. No. 4 GAC saw a 19-10 season end with a second round loss in overtime to Crawford County, 88-81. Former GAC two-time region champion and All-County selection as a player back from 1998-2000, David Eaton, takes over the reins for Eddie Martin, who ventures to turn around Buford. Eaton, in his early 30’s, comes over after a successful stint at Wando High School in South Carolina. He brings over a youthful exuberance and a hunger to return GAC to the pinnacle of high school basketball. Eaton has some talent to work with in seniors Garrett Covington (16.5 ppg, 8.9 rpg) and Jacob Hoffman (12.1 ppg). A pair of juniors will be the key to pushing the Spartans to where they want to go. 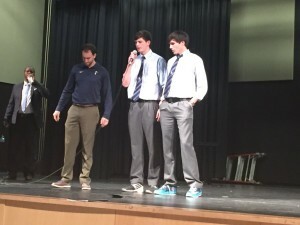 Point guard Brian Coffey added 12.9 points and 5 assists while 6-foot-7 forward Charlie O’Briant can work both the high-post and the low block on offense. Coffey already holds offers from North Florida, UNC-Asheville and Presbyterian. There will be no games off as the Spartans play in one of the best regions in the state, Region 6, dealing with the likes of Pace Academy, Holy Innocents and Lovett. No. 5 Thomasville finished the season 22-9 and slipped to Crawford County in round two of the state tournament, 80-65. Leading scorer Jordan Willis is back for his senior season after netting 14.8 points per game. Coach Benjamin Tillman might have a secret weapon that gets the Bulldogs deep into the playoffs. Six-foot-six senior forward Alex Perry moves in after averaging 17 points and 10 rebounds at Maclay High School in Florida. Perry brings great versatility and a skillset that Tillman can showcase in a variety of ways. Last season’s third leading scorer Gregory Hobbs returns after chipping in 9 points per game. Shedric Cooper is also expected to see a bigger role his senior season at forward. The Bulldogs will be battle-tested if they are able to return to state. Seminole County looms on their schedule twice. The Dogs played the Indians tough in 2014-15, losing 67-55 and 72-64. Coach Terry Kelly led No. 6 Holy Innocents’ to a 24-6 season but saw the season slip away in round two in a controversial overtime loss at Swainsboro, 57-52. Travis Anderson paced the offense as a freshman and was the team’s go-to guy, but he is now at East Jackson. Returning is junior Cole Smith, a wing with deep range, and 6-foot-6 senior forward Brett Duncan. Duncan does just that, a powerful high-flier that has been known to rock the rim and swing momentum in the Golden Bears’ favor. Son of NBA Hall of Famer Julius Erving, junior 6-foot-5 forward Jules Erving, will be counted on to play a big role for Coach Kelly’s team this season after the Bears have graduated Ashton Meertins and Sam Asbury. Both sophomore Mykel Tubbs and senior Harrison Cobb saw action in 2014-15 and will add depth and quality minutes in 15-16. The No. 7 Early County Bobcats flew under the radar last season, going 16-12 featuring a second round exit after a 62-55 loss against Model. In 2015-16, the Cats could have some major claws and enter the season as the third (Seminole County, Thomasville) team ranked from Region 1. Coach Randy Isom’s bunch returns all of their key players and will feature a roster peppered with juniors and seniors. Junior point guard Qubilah Hall is tough to wrangle with his shifty 5-foot-6 frame. Hall scored over 15 points per game and displayed a deft touch from beyond the arc. Senior center Tracey Beacham is the team’s leading rebounder and has proven he can play against the best, showcased when he scored 26 points against Seminole County. Another senior, Traquez Wells has had success against the Indians and chipped in 21 points in a 93-89 loss, proving the Bobcats can play with anyone. Juniors Devonte George and Malik Thornton round out this potentially dangerous team. Under Head Coach Tommy Dalley, No. 8 Vidalia recorded a 28-3 record and a semifinals appearance. In the Elite Eight, the undersized Indians harassed the larger Pace Academy Knights by pressing and trapping all over which led to a 48-46 victory. Vidalia forced Pace into careless mistakes and sped up their offense, effectively lessening the impact that 6-foot-10 center Wendell Carter Jr. could make. Surprisingly, it was the Indians who were able to control the tempo and score in the half court set on floaters and three-balls to negate Pace’s height. Some big pieces have graduated, highlighted by guard Jordan Black, but the proud program that has gone 87-6 over the past three seasons returns senior Wil Chambliss and sophomore Tahj Jones. At 21-10, No. 9 Swainsboro fought its way to a semifinals appearance before losing to Crawford County 71-58. Coach Bobby Andrews loses a lot from his veteran team and will look to rising seniors to fill the void. Power forward Quan Akins returns after scoring 7.1 points and grabbing 4.6 rebounds per game. Point guard Martez McKinney added 6.3 points and 2.9 assists and is a trusted floor-general to run the offense. Andrews has increased his win total each season since coming aboard in 2012-13. The Tigers have gone 8-17 and 15-14 before breaking through in 2014-15. No. 10 Rabun County needs to replace leading scorer Austin Dinofrio. Coach Jeff Page has some good choices to lead the way coming back from last year’s 21-9 team that was eliminated by Seminole County in round two, 83-66. Senior point guard Harry Oliver is capable of replacing Dinofrio’s big time scoring. Oliver averaged 14.3 points, 5.7 assists and 4.7 rebounds to go along with his 2.8 steals as a junior. Running mate Matthew Addis is another quick little guard with the ability to burn defenses. Addis can’t be left from beyond the three-point line as he drilled 108 threes and scored 12.3 points per game. The backcourt duo makes the Wildcats a sleeper to knock off some teams. There will be a lot of changes at No. 1 Laney but the Wildcats still have the pedigree to get the job done and finally finish the season with a win after three straight losses in the Final Four. Laney has actually advanced to at least the semifinals six-straight seasons. 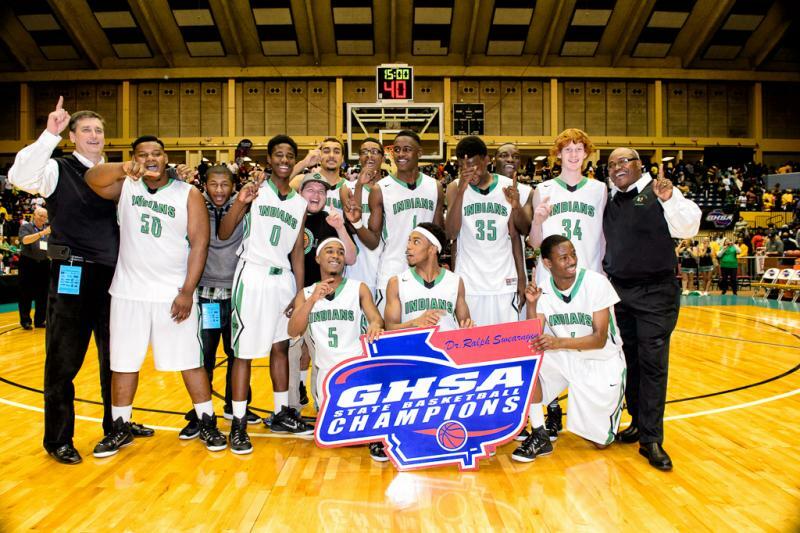 The Wildcats put together the best resume in the state last year: 29-2 with wins over – Morgan County (2x) 71-67 OT, 78-62; Pebblebrook 65-59; Norcross 70-59; Jenkins 60-49; East Hall 92-67. The third time was not a charm however against Tookie Brown and Morgan County, as Brown exploded in the second half and led the Bulldogs to a semifinals victory 68-62. For the Wildcats, Buck Harris has left the program and will now try and rebuild a struggling Baldwin program. In steps Shawn Parks, who has coached at Josey and Jefferson County over his career. 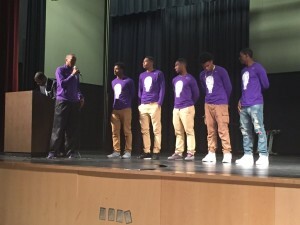 Leading scorer JaShawn Brooks has graduated and Collin Young and his 11 points per game have transferred to Miller Grove, but a feisty backcourt chock full of division-one talent is back to pace the Cats. Senior 6-foot-2 guard Christian Keeling is a recent Charleston Southern-commit after posting 11.3 points, 4.5 rebounds, 2.2 assists and 2.1 steals in 2014-15. Zep Jasper runs the offense as the lead guard and is a College of Charleston-commit. He chipped in 8.1 points and 3.9 assists to the balanced offensive attack. Sophomore Donald Henley and junior Tahj Tanklsey might be the next two guards to take the spotlight after the seniors graduate. The Wildcats’ recipe for success last season was their smothering defense that allowed 54.4 points per game. There is no reason why that should change under Parks. The defending champs, No. 2 Jenkins, went 29-3 and beat Morgan County 62-60 in a thrilling state title game that featured an Eric Johnson lay-in with seconds left to win. Johnson has since graduated along with Georgia State signee Malik Benlevi. Coach Bakari Bryant has to replace his two leaders and should start with junior forward Trevion Lamar and senior guard Dimetri Chambers. Lamar led the team in rebounding (7.1) and finished second in scoring with 11.5 points per game. The 6-foot-5 slasher loves to get in the lane and cause problems with his athleticism. Chambers has proven to be a big game clutch performer thanks to his prowess from beyond the three-point line. He averaged 8.4 points during the season, but pitched in 12 points and three long balls in the state championship. Junior guard Zion Williams transfers in from Savannah where he averaged 10.3 points and 6.8 assists as a sophomore. Life without 3,000-point scorer Tookie Brown begins for No. 3 Morgan County, but don’t expect the drop off to be that severe. Springy forward Jailyn Ingram and versatile guard Devorious Brown have decided to continue playing together at the next level and both have committed to Florida Atlantic. Ingram is a 6-foot-6 highlight reel that plays well above the rim and also has been recruited for his skills as a wide receiver. Both he and Brown will see bigger roles in the offense now that Tookie has landed at Georgia Southern. The Bulldogs finished 24-8 and were unable to repeat as champions. Don’t count out Morgan County as a threat to make a deep run at state behind a battle-tested senior class. Morgan County won’t have a walk in the park when it comes to Region 8 anymore. No. 4 East Jackson has loaded up with three talented sophomore guards, headed by Drue Drinnon. The highly sought after guard produced a freshman season for the ages averaging 23 points 6 assists and 4 rebounds per game. This year he will have much more help with the additions of Travis Anderson (Holy Innocents’) and Lamont Smith (Buford). Anderson was named HoopSeen Class AA Player of the Year and was set to attend Grayson this season, even playing with their fall league team before making a late switch to East Jackson. Lamont Smith is another talented guard who should thrive next to fellow playmakers. Senior forward Kamron Walters will be an integral part to Coach David Boyd’s team. At 6-foot-7, Walters will be asked to protect the basket and track down rebounds for second chance points or ignite the fastbreak. East Jackson finished 18-11 last year and was dumped by Banks County in round one of the state tournament, 63-56. They will face an early litmus test scrimmaging Miller Grove at home. For East to truly become a contender, they will need to shake the demons that Morgan County presents them. The Bulldogs have beaten the Eagles 7-straight times dating back to 2012-13. Morgan County handed East Jackson losses of 101-55, 100-41 and 77-34 last year. If the Eagles can find constant production down low to couple with their premier guard play, East Jackson will be in the hunt for a state title which Boyd has great familiarity with. No. 5 Calhoun cruised to a 22-4 record and perfect 16-0 mark in Region 6. The Yellow Jackets routed Pepperell in the opening round of the state tournament but faltered against Cedar Grove, 52-42. Coach Vince Layson’s top seven scorers return for another shot at a deep playoff run. Star quarterback Kaelan Riley is also the team’s leading scorer and rebounder. He averaged 14.7 points, 9.3 rebounds and 3.2 assists to pace the Jackets. Point guard Jireh Wilson supplies some sting with his scoring touch. The senior pitched in 14.2 points, 4.2 rebounds and a team leading 3.6 assists per contest. Chapin Rierson is another tough cover at 6-foot-5. The junior isn’t afraid to let it fly from deep (38%) and can get to the hole (85 freethrow attempts). Calhoun should enter postseason play unscathed in region play and labeled a difficult out in state. No. 6 Blessed Trinity won’t quite have the size inside they had in 2014-15, but a strong backcourt and a fundamentally sound team will grind opponents out. The Titans allowed just 44.8 points per game and elected to control tempo and run their offense to frustrate teams that wanted to run. Blessed Trinity ended with a 24-6 record and was able to pick up a 32-30 win over Washington County in the first round of the state playoffs. They barely lost to Callaway 58-56 in the second round, but did impose their will and hold the Cavaliers 21 points below their average. Seniors Jackson Svete, Griffin Michael and John Michael Bertrand make up a nice core. Juniors Adam Fenlon and Kyle Swade should be among the team’s leading scorers along with Svete. Coach Terry Hayes returns with No. 7 Callaway and his run-and-gun offense. A ton of talent is back to continue pushing the pace to score easy buckets. 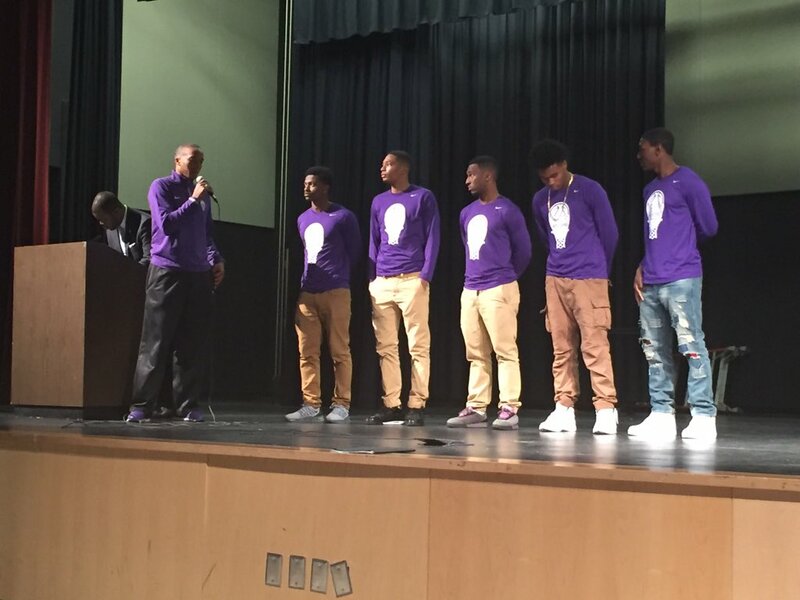 The Cavs finished 20-5 a year ago, slipping to eventual state champion Jenkins in the quarterfinals, 97-61. Junior guard Braylon Sanders is an explosive scorer and teams up seniors Dre Martin and Quantrez Cooper to form an excitingly quick backcourt that can disrupt opposing ball handlers. Senior forward Earnest Patillo isn’t afraid to score inside and out and brings a versatile component teams have to account for. No. 8 East Hall will be without center Kyvon Davenport, but Coach Joe Dix is a proven winner and has experience coming back from his 24-6 team. The Vikings made a quarterfinals appearance before Laney romped them 92-67. Dix won’t have the dominant 6-foot-8 post player this year and instead will turn to seniors Tylor Brown, Triston Cooper and Jacquen Hopkins to push tempo. Brown likes to wreak havoc by getting into the lane. He also has shown improved range on his jumpshot and can’t be left open from deep. Cooper is a dead-eye sniper and plays with a fire that is contagious while Hopkins is a south paw that can also stroke it and slither his way to the basket. Behind a dynamic offense, No. 9 Central-Macon has a shot to claim a Region 2 title and make some noise in the state playoffs. Andre Taylor’s group averaged 76.6 points per game and compiled a 20-8 record which sent them to the second round where they lost a tough game to Morgan County, 69-61. Why do the Chargers crack the top ten? All four leading scorers return highlighted by junior guard Antarius McCoy, who averaged 22.2 points in 2014-15. Seniors Derrick Evans Jr. pitched in 16.8 per game while Rakwon Iverson added 13. The difference maker that makes the Chargers a scary team is 6-foot-10 junior center Kentrevious Jones, an 11.3 point per game scorer. Jones is yet to scratch the surface of his potential but if he does, he has a chance to force his name into the discussion as one of the best centers in the state. The Chargers still have to deal with the likes of an up and coming Westside team led by five-star sophomore Khavon Moore and proud programs Rutland and Peach County, making this region in Macon a fun one to keep an eye on. No. 10 South Atlanta coasted to a 27-5 season and a quarterfinal appearance against Morgan County, who beat the Hornets 78-50. Senior guards Orlando Bebee and Devontae Dean have experience and familiarity with running Coach Michael Reddick’s offense. Dean was an All-Area Second Team selection while Bebee garnered Honorable Mention. Inside, forwards Tyler Thornton and Artavious Banks gobble up rebounds and change shots. South Atlanta has also added 6-foot-7 senior swingman Korbian Bell. He is a strong lefty that uses his athleticism to attack the paint. Bell displays an ability to play with his back to the basket as well when set up on the block. The Hornets will contend with Blessed Trinity, Cedar Grove and Westminster for the Region 4 title and top seed in the playoffs.